Can you have a healthy bit of crack with cannabis? How the next tabloid drug scare in waiting could be a beneficial way to get high. It’s been a solid year for tabloid-driven drug scares. First came the panic over the impact super-strength skunk has on mental health. Then it shifted to synthetic legal high Spice, which led to several high-profile hospital admissions (mostly of students) before there were moves to have the synthetic cannabinoid outlawed. Next up for scaremongering is likely to be ‘dabbing’, a form of smoking a powerful cannabis oil. 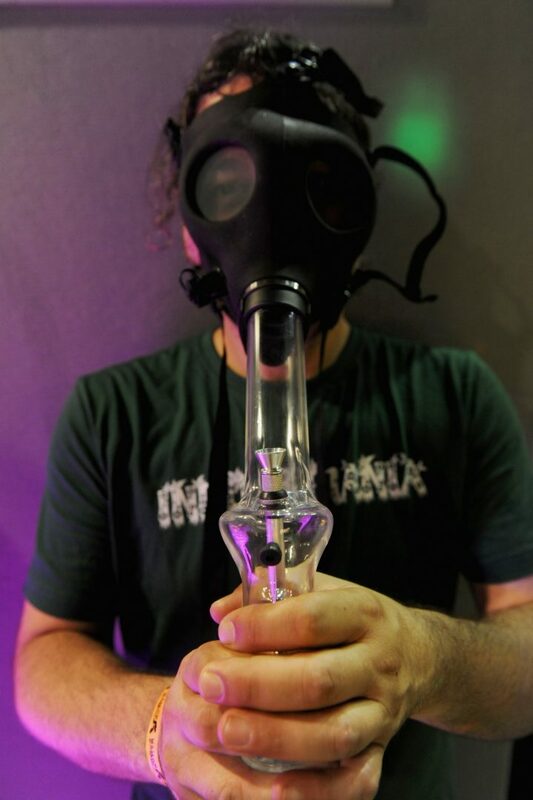 Dabbing involves heating concentrated Butane Hash Oil (BHO) – also known as dabs, honey oil, wax, shatter and budder – and inhaling it through a glass pipe or bong. It’s a process that has led to dabbing being dubbed ‘cannabis crack’. Even seasoned smokers are surprised by the strength. Street cannabis has around a 15 per cent concentration of tetrahydrocannabinol (THC), the primary psychoactive ingredient in cannabis. A dab has up to 90 per cent. It’s been said if a regular joint is like having a pint, a dab is the equivalent of downing a quarter of vodka. Despite the potency experts say dabbing could be a “game changing” way of getting stoned – because it’s healthier than smoking cannabis with its traditional mix of tobacco. Dabs can also be rubbed into the skin, gums, or even turned into a suppository, if shoving cannabis up your tunnel is how you like to get on one. Flying high A new pipe called Auto Pilot for smoking butane hash oil made its debut this year at Spain’s Spannabis Cannabis Fair. BHO can also be adapted into an odourless form for subtle use in the booming number of e-cigs being sucked. Dr Winstock added there are still downsides. “The risks attached – memory loss, paranoia and dependence – are massively escalated with vast amounts of THC,” he said. Dabbing is most prolific in the US but Dr Winstock stressed how easy it was to smuggle cannabis oil into other countries. It’s doubtful tabloids will spin dabbing with the same measured consideration as Dr Winstock. In short, dabbing: a scare coming soon to a tabloid near you. is scotland the safest place to be an alcoholic?